How Long Do OK E-Cig Batteries Last? As with any battery, ecigarette batteries don’t last forever. You can expect our OK branded batteries to last between 6 months to a year, depending on usage. You will know when your battery needs replacing as it will become less efficient at holding it’s charge and you’ll notice it needs charging more frequently than usual. Being a larger battery capable of holding more power, ego batteries tend to last longer than cigalike ones but will still need replacing over time. As above, you will notice that the battery no longer holds its charge effectively and this indicates it needs replacing. 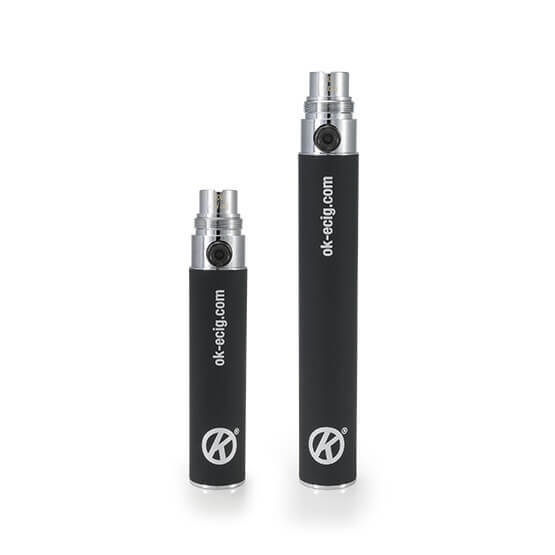 An OK ego vape pen battery should last approximately 8 hours between charges but this does vary depending on your style of vaping. If you experience any issues with a battery that is under 12 months old, please do not hesitate to contact us. Click here for information on disposing of e-cigarette products.